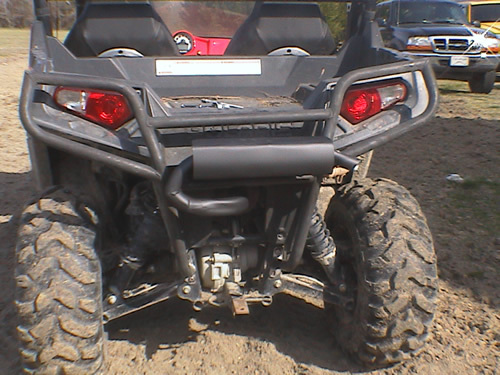 The Silent Rider®(formerly known as “The Benz Silent Rider”) is the industry leader in ATV exhaust silencers. You can expect up to a 60% reduction in the exhaust noise of your ATV, with no loss in power and performance. The Silent Rider’s® patented technology is custom designed to each ATV & UTV make and model, offering the quality and reliability expected by hunters, recreational riders, game keepers, military and law enforcement. 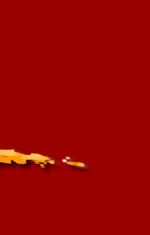 We have THOUSANDS of satisfied customers, simply because it works! All of our silencers will pressure/friction fit to either directly your stock muffler or to one of our adapters. Adapters are used at an attachment point for The Silent Rider®. Never is The Silent Rider®a permanent mount. Only an adapter (if needed for the specific ATV model) is permanent. Our unique design does not need clamping making installation and removal very easy. 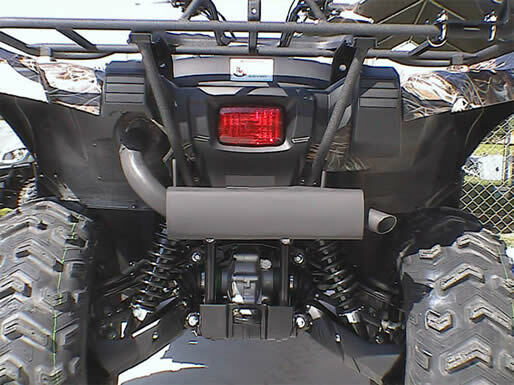 The Silent Rider® is designed to custom fit your ATV model with a heat shield, turndown pipe, and sturdy mounting brackets. There is no confusing assembly required! The Silent Rider® is proudly manufactured in the U.S.A. of 14 gauge aluminized steel. We have been testing and using our silencer for almost 10 years with great success. 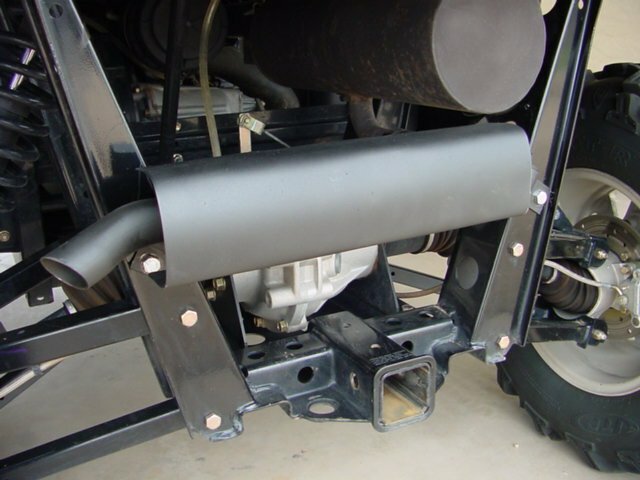 Our ATV exhaust is quick and easy to install and remove. The Silent Rider® is custom fit to each specific make and model. You will ride in stealth in minutes!